It could be a depressing thing to believe, at sixteen, that your best years were behind you. 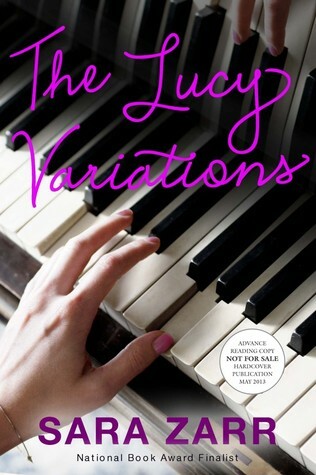 The Lucy Variations is Sara Zarr’s newest YA contemporary novel that gives her readers a glimpse into the life of the musical elite. We get to witness firsthand how musical prodigies practice and compete, as well as how they struggle with the everyday pressure of perfecting their craft. Through Lucy’s perspective, it’s evident that it’s not all glitz and glamour when faced with performing for prestige and applause. Lucy is a child musical prodigy who had a successful career as a pianist. She packed concert halls, performed and excelled competitively, as well as traveled the world with the musical circuit. All of this was accomplished before she even turned fourteen. Then, one day, she abruptly walks off stage and refuses to play. After the death of someone she loves and her family’s refusal to trust her to make the right choice, she decides to take back her ability to choose her own path. Gus, her younger brother, is now bearing the weight of her decision. He becomes the family’s star performer and when he is assigned a new music instructor, Lucy finally finds someone she can connect with and confide in to help her self-correct her path. For the first time, since her abrupt decision to quit, she considered the possibility of playing the piano once again. I truly enjoyed this newest novel by Zarr. From her, I’ve come to expect some worthy concepts to consider such as trust, self-discovery, growing up and being confident in your decisions. Sara never fails to deliver when it comes to formulating a story that touches on very real and topical considerations that teens face. In addition, I always enjoy Sara Zarr’s books because she has a keen ability to develop her main characters so vividly that by the end of the novel you feel like you really got to know them and that makes it so much easier to appreciate their decisions and accept their mistakes. Lucy was an easy character to come to like. She immediately gained my sympathy as I witnessed her struggle with her grandpa’s disapproval and her mom’s judgment and fear. Despite the struggles she faced, she showed moments of courage and an ability to imagine and plan her future despite the fear of reproach. Lucy was clear and consistent about not wanting to plan out her future to precise detail and flawless execution. She had decisions to make about her life, but she was adamant about one thing… it was HER life and she was okay with being uncertain and making mistakes. There were other struggles she faced, including learning to adjust from a private tutor to classroom setting. She handled her transition with clumsy steps, but she never failed to show remorse for her mistakes. Overall, I applaud Lucy’s choices throughout especially when she confronted her grandfather and family about where she saw her path leading and what she wanted to do with her craft. Her choices, albeit not being what her family wanted, were responsible and sensible. She was mature and steadfast in disagreeing with her grandfather’s opinion of don’t play if you don’t plan to compete and don’t compete unless you’re the best. She knew how she wanted to manage her craft, and she made choices that were responsible yet right for her. I appreciated the relationship with her mom and how they overcame their challenges. Often times, teen novels portray the parents as adversaries, but in this instance there was evident growth in the relationship as well as the characters. Very well laid out and executed. I anticipate Zarr fans will be extremely pleased with her newest novel The Lucy Variations. I enjoyed it much and it proved once again that Sara Zarr has a good grasp of what a realistic YA Contemporary novel should look and feel like. Worthy read! 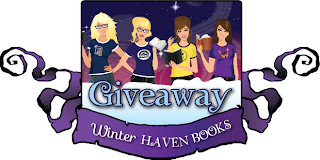 I'm happy to share that I was able to keep this book in pristine condition =} and I would love to give it away to one lucky WinterHaven follower. Simply fill out the rafflecopter and share a thoughtful comment. Good luck! This sounds really good and brings some memories of a high school friend who was an amazing pianist. I used to play the piano. A long time ago. This would be a nostalgic read for me. Thank you so much! I love Sara Zarr!! This sound like an amazing book, and I can't wait to read it! Great review I never read a book from Sara Zarr the book sounds and looks amazing! Thanks for the givaway! Good review. I'm interested in this book because it involves music, and i love the arts. Thanks for the giveaway! This is a new-to-me author. I enjoy reading stories that involving a struggling protagonist. Thanks for sharing your review! Sounds intriguing. I eant to read about piano playing characters and this seems up my alley.